Have you heard the word “carrier oil” and not really known what it meant or what you were supposed to do with it? Well, you aren’t alone. We’ve received a lot of questions about the subject, so we decided to write this post to clarify some things and give you some ideas as to what you can do with the carrier oils we offer. By the end of this post, you’ll have the means to figure out the differences between carrier oils and choose the ones that will work best for you and your needs. 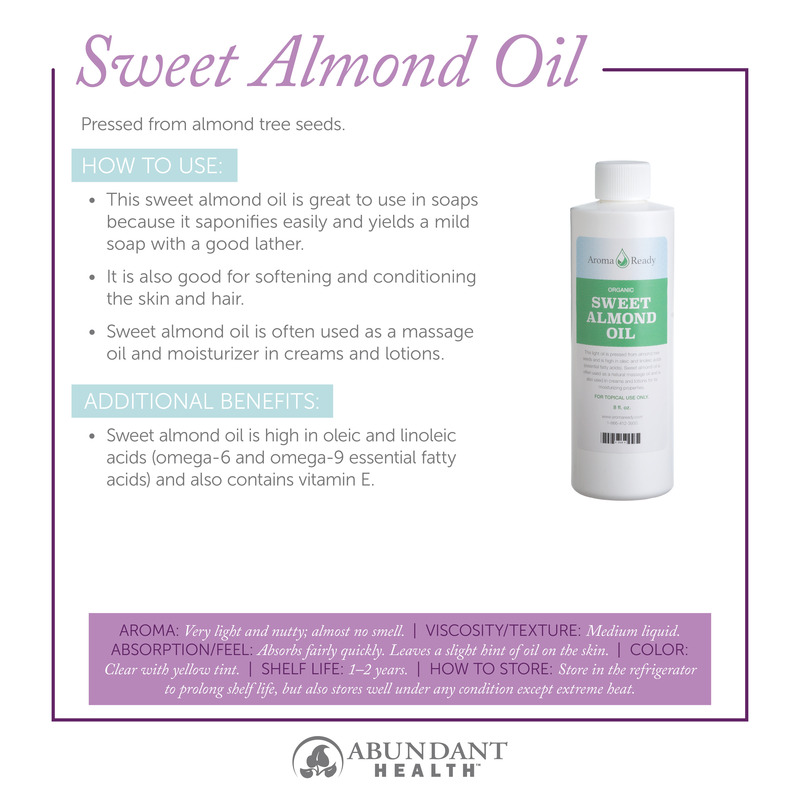 What are carrier oils, and why do I need them? Let’s start with definitions. Carrier oils are vegetable oils pulled from the fatty portion of a plant, usually from the seeds, kernels, or nuts. Carrier oils get their name because they are used to “carry” an essential oil into the skin during topical application. Carrier oils also help dilute essential oils. Since essentials oils are very concentrated and potent, it is highly recommended that you dilute them to use them safely. 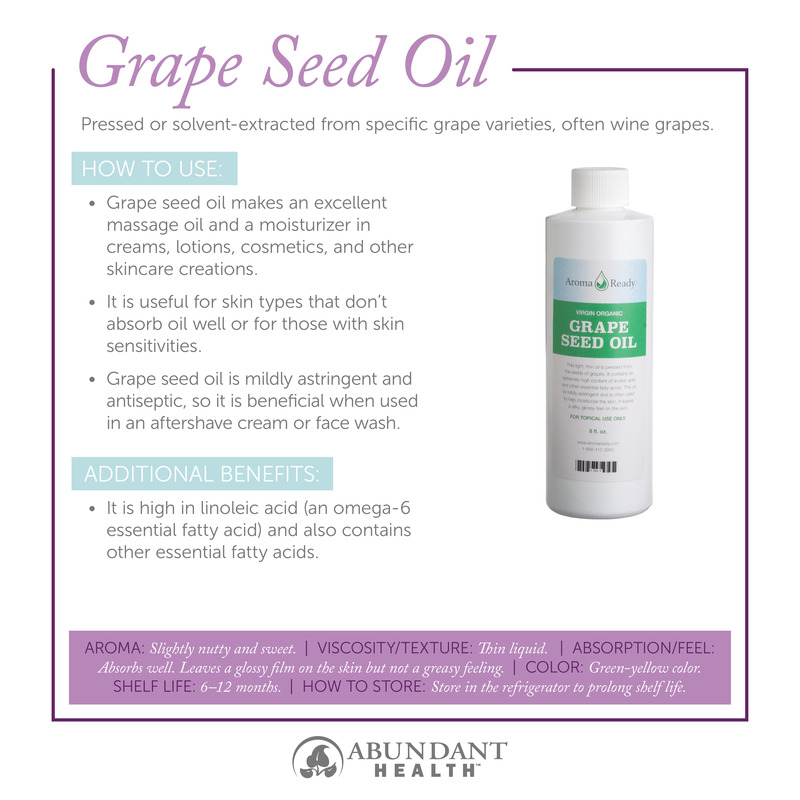 Children, pregnant women, and those with sensitive skin especially need to dilute their oils. 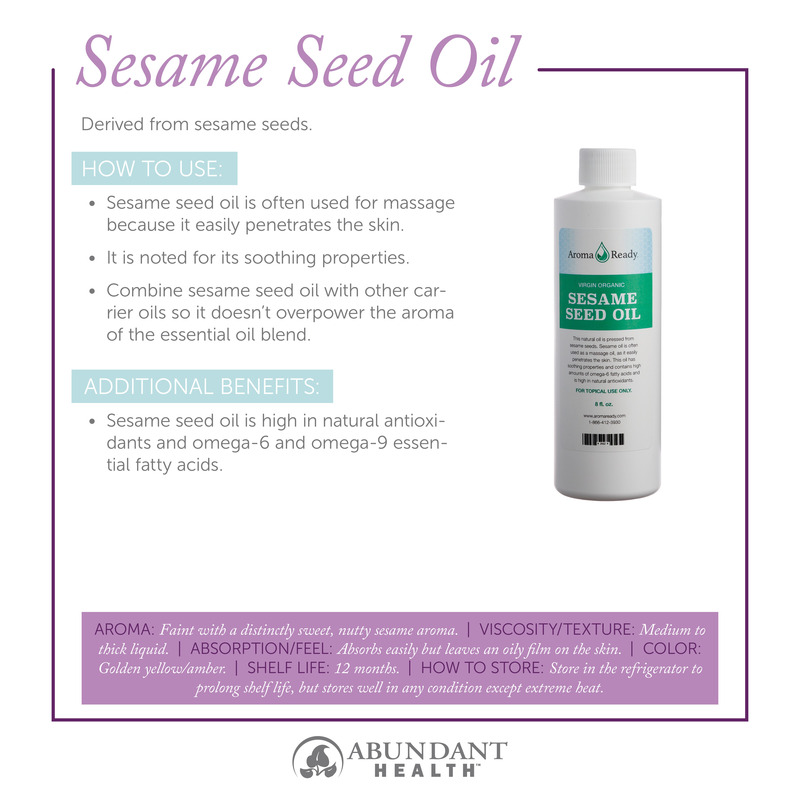 In addition to safety, diluting your essential oils and adding a carrier oil stretches out your supply and allows you to spread the essential oils out on a larger area than if they were used neat (without dilution). 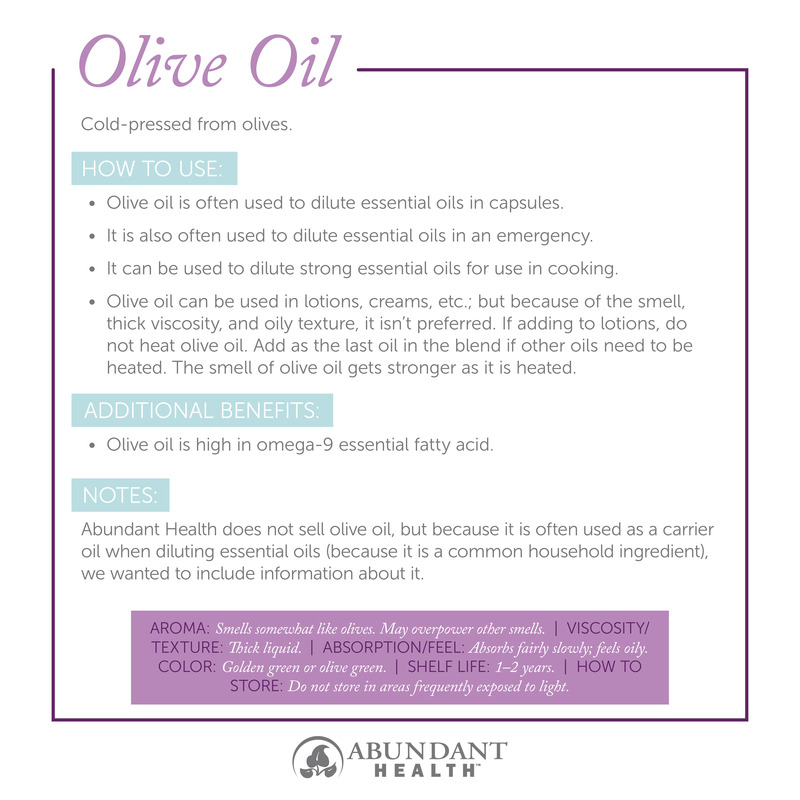 While the word “dilute” typically means that it is not as concentrated or strong as it was before, when using a carrier oil, it does not dilute the effect of the essential oil. In fact, it prevents waste due to excessive application. This blog post is a great reference for diluting your essential oils. 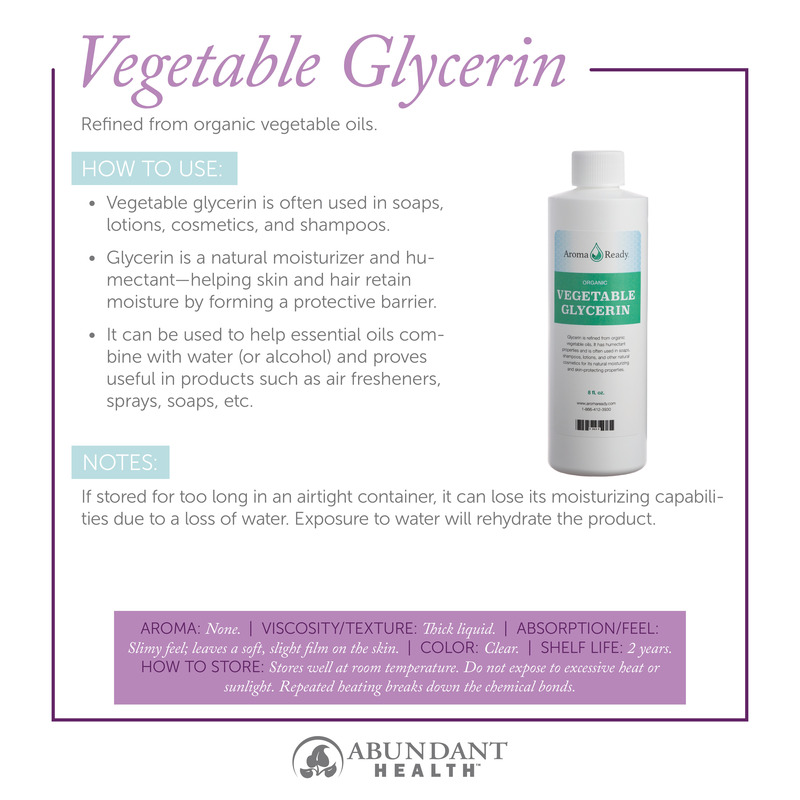 In this article, we will include oils, butters, glycerin, salts, and soap bases, as they can serve similar purposes, even though some aren’t technically carrier oils. 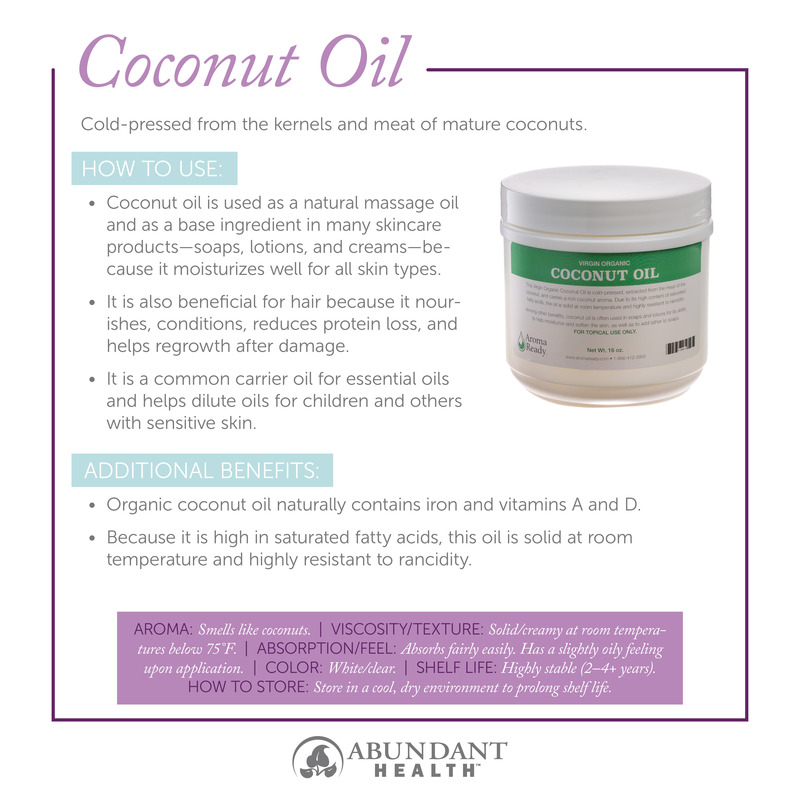 Carrier oils can be used in a multitude of ways. Probably the most common way is to mix an essential oil and a carrier oil in a roll-on bottle. This can be a very easy way to apply a diluted essential oil topically. 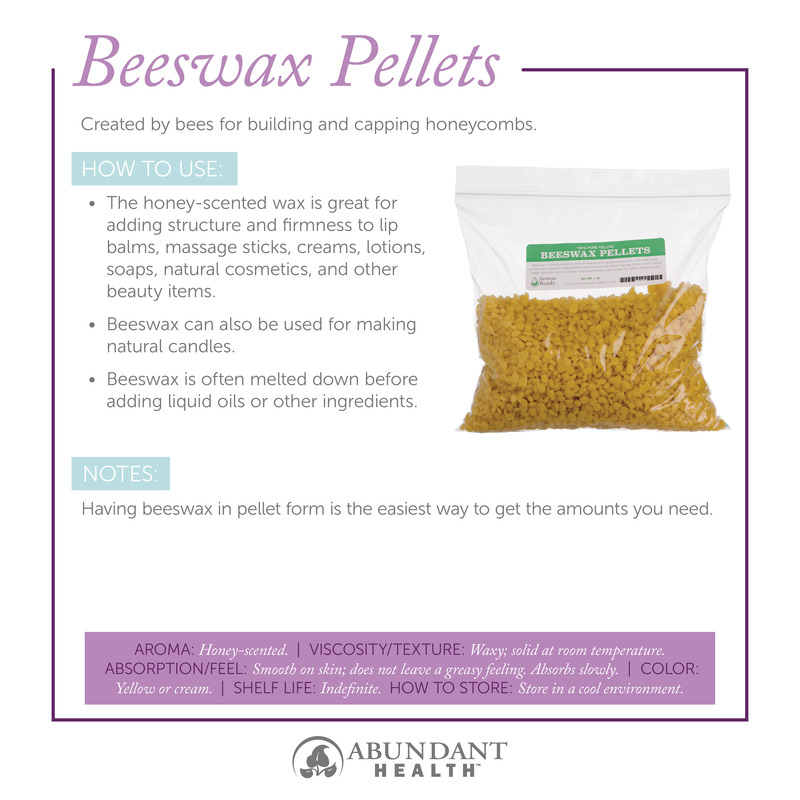 Many of the carrier oils and butters can be used to make sprays, massage blends, soap products, body care products, creams, candles, diffusers, lotions, air fresheners, lip balms, and various other products. 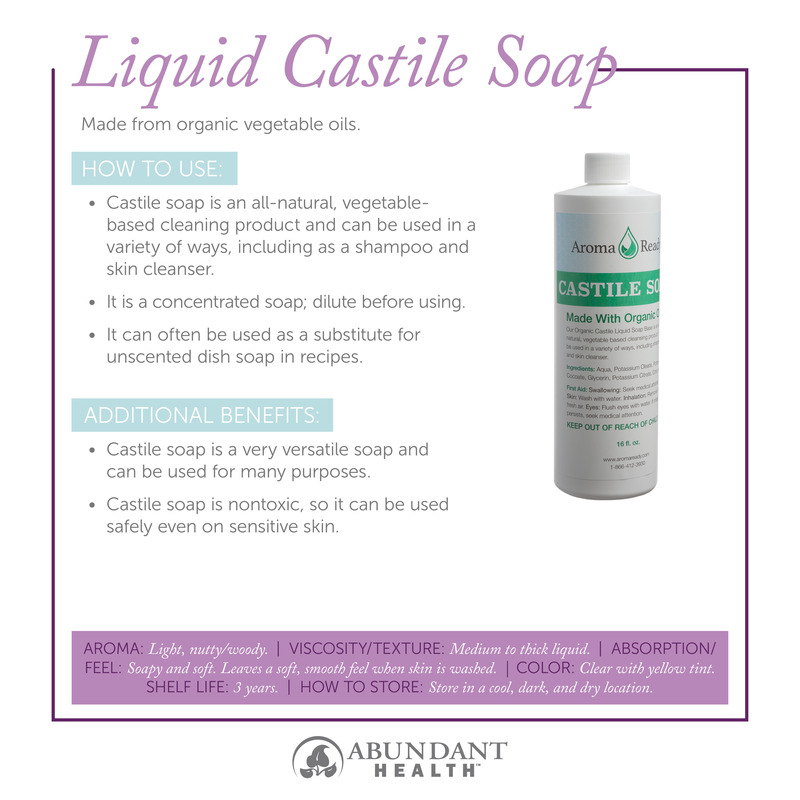 Since water and oil don’t mix, it is sometimes necessary to include an emulsifier such as Vegetable Glycerin, Castile Soap, or Epsom Salt, or our vegetable-based Essential Oil Emulsifier. Emulsifiers help disperse essential oils and carrier oils through other ingredients such as water, keeping them from separating. The essential oil emulsifier can even be added, along with essential oils, to drinking water to prevent the essential oils from floating on the top of the water. 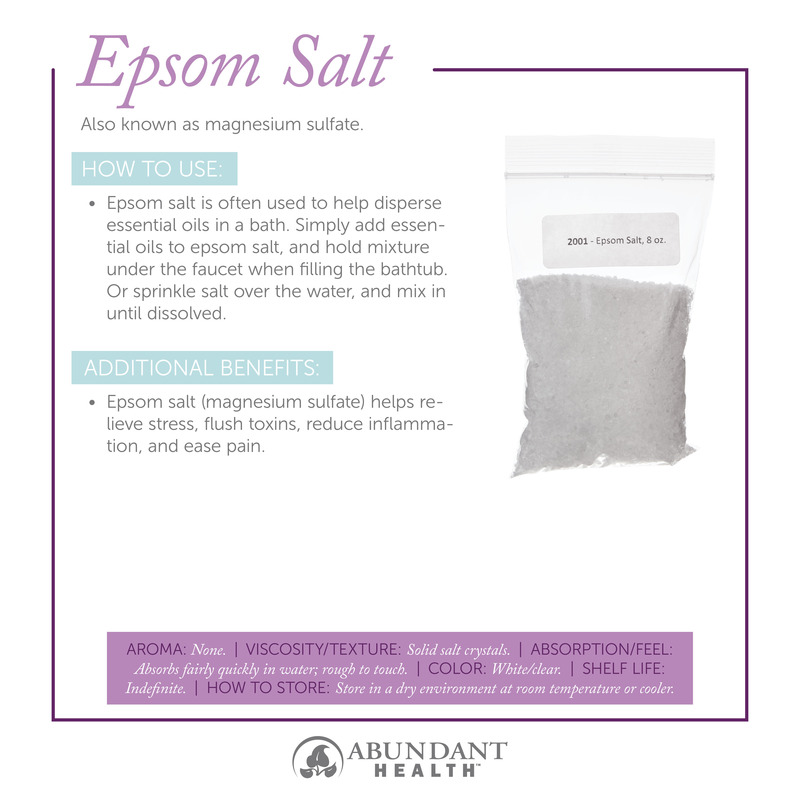 Epsom salt is most commonly used as bath salt and can be a fantastic way to dissolve essential oils throughout a bath. Some of the butters we offer are solid at room temperature and need to be heated to mix them with oils and other ingredients. To heat butters (and other carrier oils), we recommend using a double boiler. If you don’t have a double boiler, you can easily create one by placing the ingredients in a heat-proof glass dish (a measuring cup works great!) and then placing the glass dish in a pan that contains an inch or so of simmering water. It is very important to use low heat for most carrier oils and butter so you don’t alter their constituents and their effectiveness. 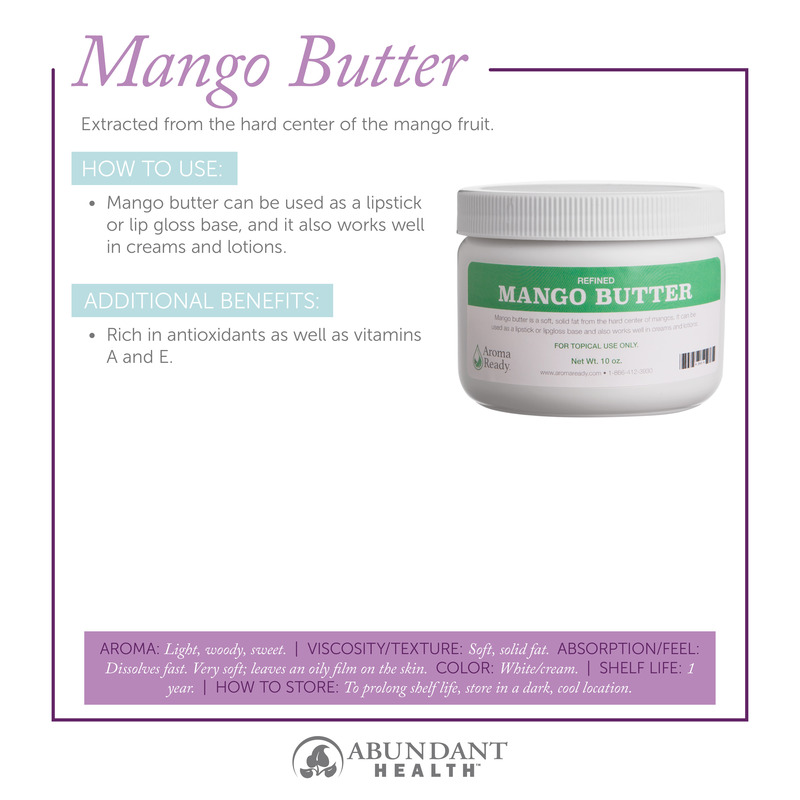 Do not microwave carrier oils or butters. 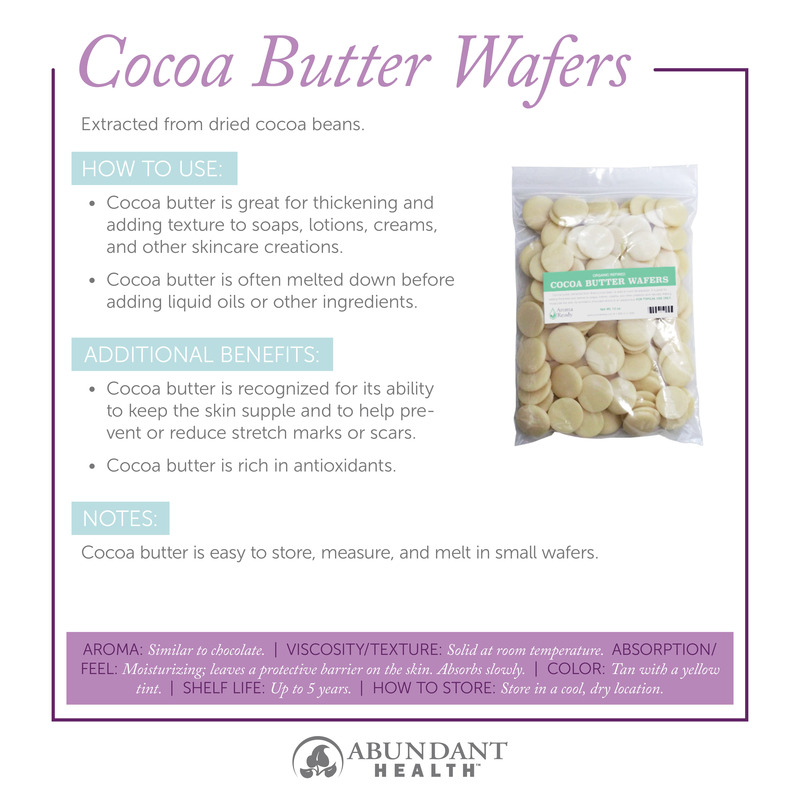 One butter that can become gritty if not melted and cooled properly is Shea Butter. 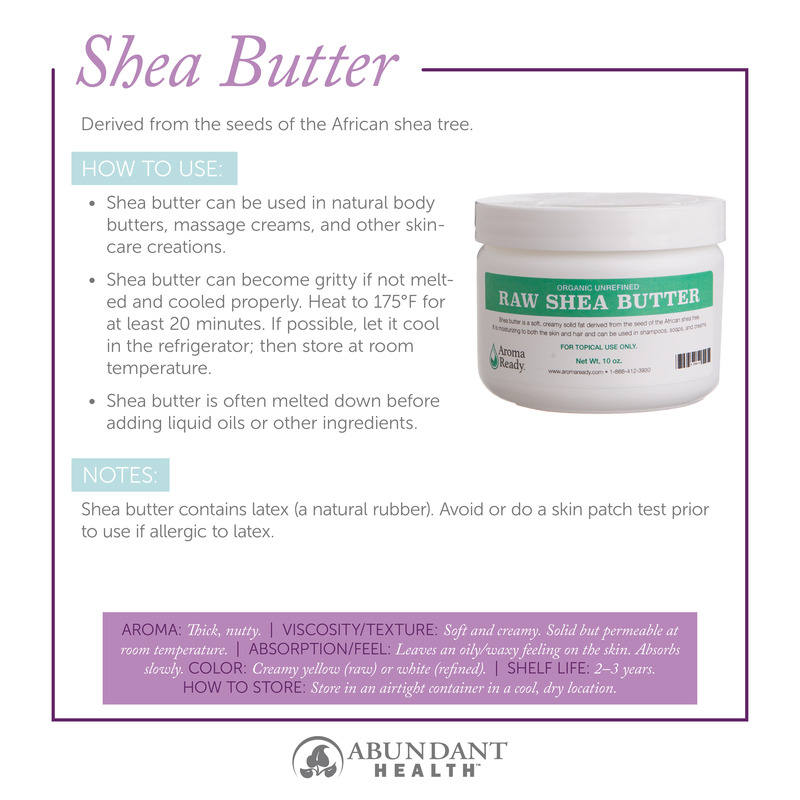 Heat shea butter to at least 175ºF for at least 20 minutes. Let it cool in the refrigerator if possible. Store the shea butter at room temperature after it has cooled. Is it possible for carrier oils to go bad? Yes, it is. 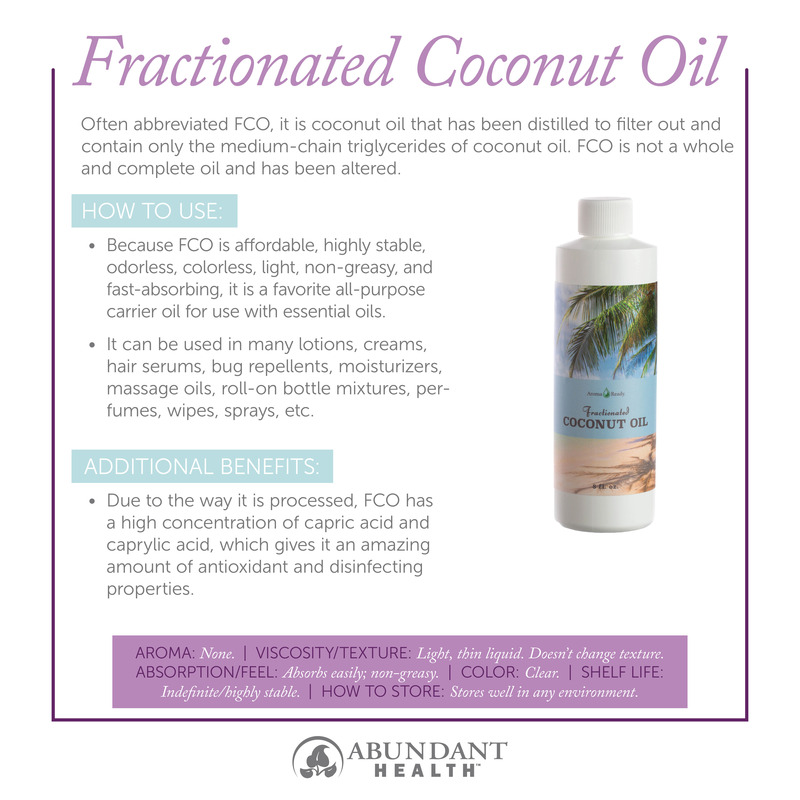 Carrier oils are pressed from the fatty portions of a plant, and they often contain essential fatty acids that, although very beneficial to our body, unfortunately contribute to a short shelf life. 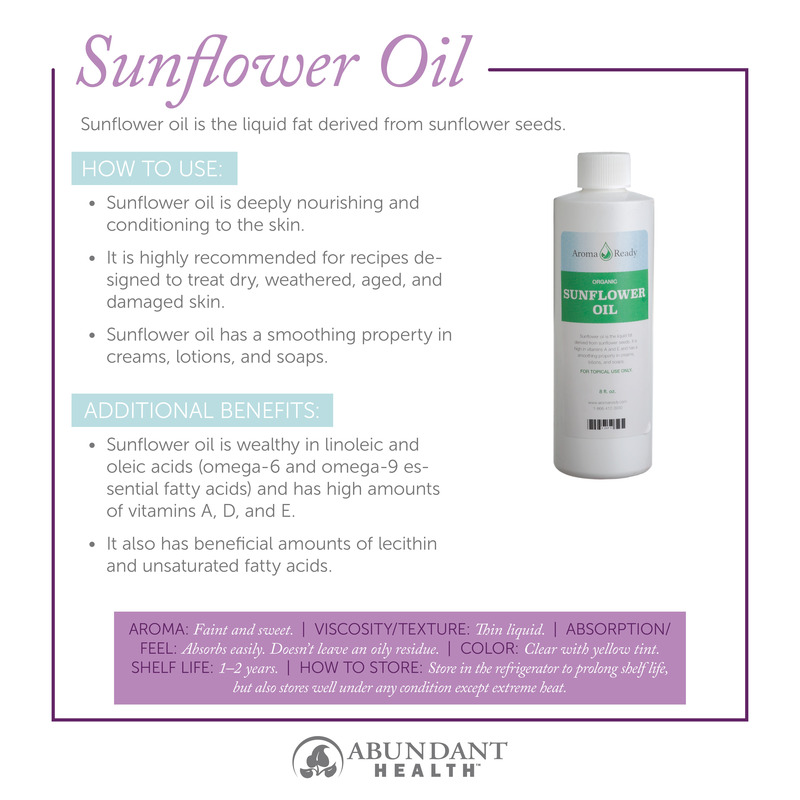 Because the ratio and the specific essential fatty acids differ from one carrier oil to another, their shelf life also varies. 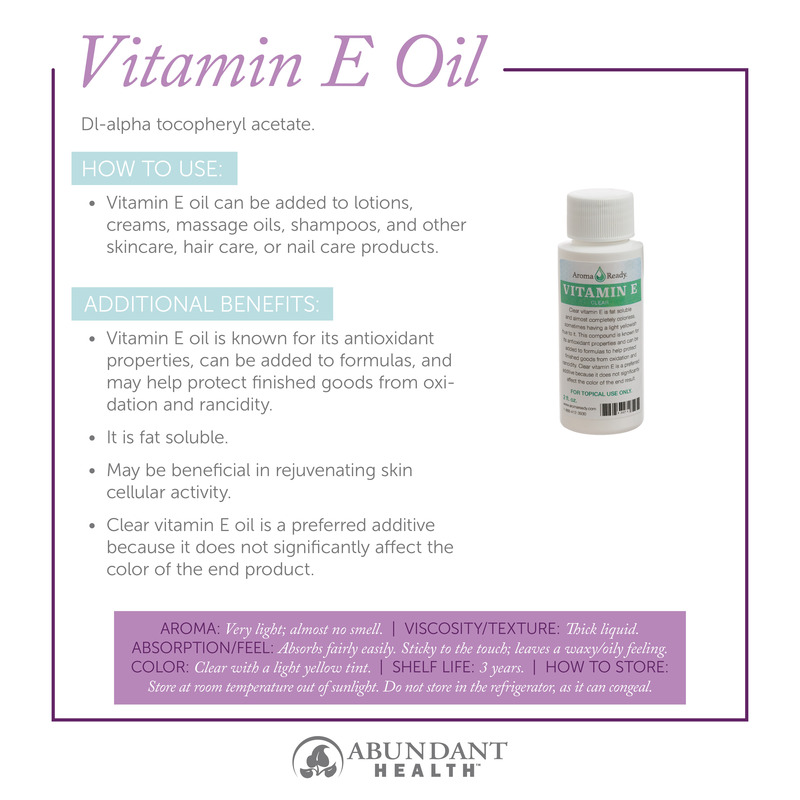 The level of natural fatty acids, tocopherols (vitamin E compounds found in many carrier oils), method of extraction, and other characteristics of an oil can all affect how quickly it becomes rancid. How can I tell if a carrier oil is rancid? The best way to tell if the carrier oil has gone rancid is to compare the odor with the odor of the same carrier oil that is fresh. In general, carrier oils should have a soft aroma, so if you find your carrier oil has a strong, bitter aroma, it has likely gone rancid. What is the best way to store my carrier oils? To prolong shelf life, most carrier oils (except Avocado Oil) can be stored in the refrigerator. However, some oils stored in the refrigerator may solidify or become cloudy and need to be returned to room temperature prior to use. 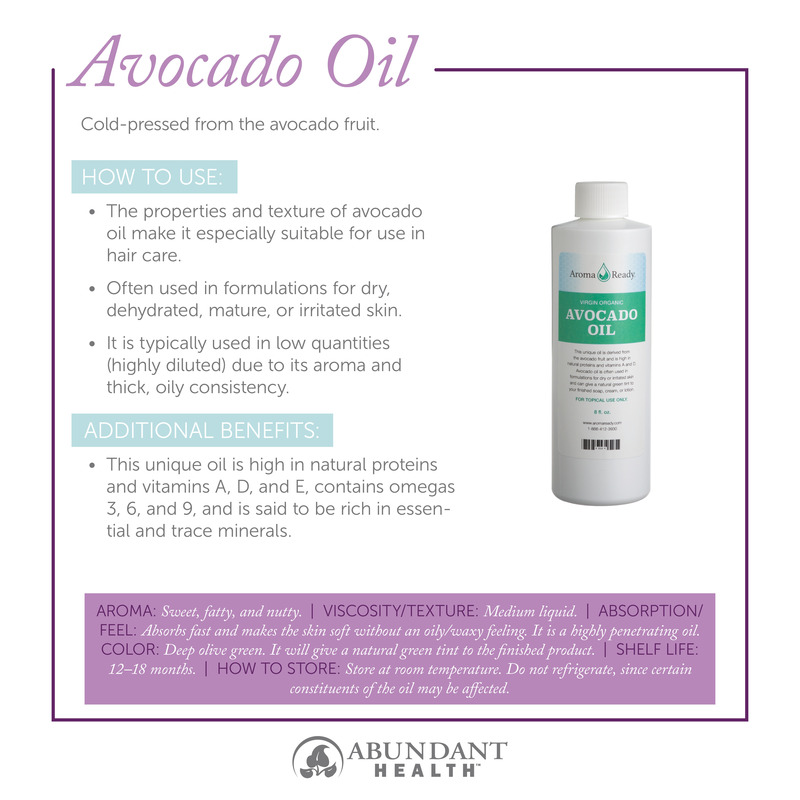 Because avocado oil contains many important, fragile constituents that can be affected by lower temperatures, it shouldn’t ever be stored in the refrigerator. Some carrier oils that are less fragile and have a longer shelf can be stored at a cool room temperature. Check the shelf life info on each of the carrier oil graphics below to see how long each can be stored. There should also be an expiration date on the bottle you purchase. Try to use the oil up before that expiration date and store it properly to prevent your carrier oils from going rancid. It is important to use caution when trying out any new ingredient. Carrier oils are no different. If you have a nut allergy, consult a medical practitioner before coming into contact with nut oils, butters, or other nut products. 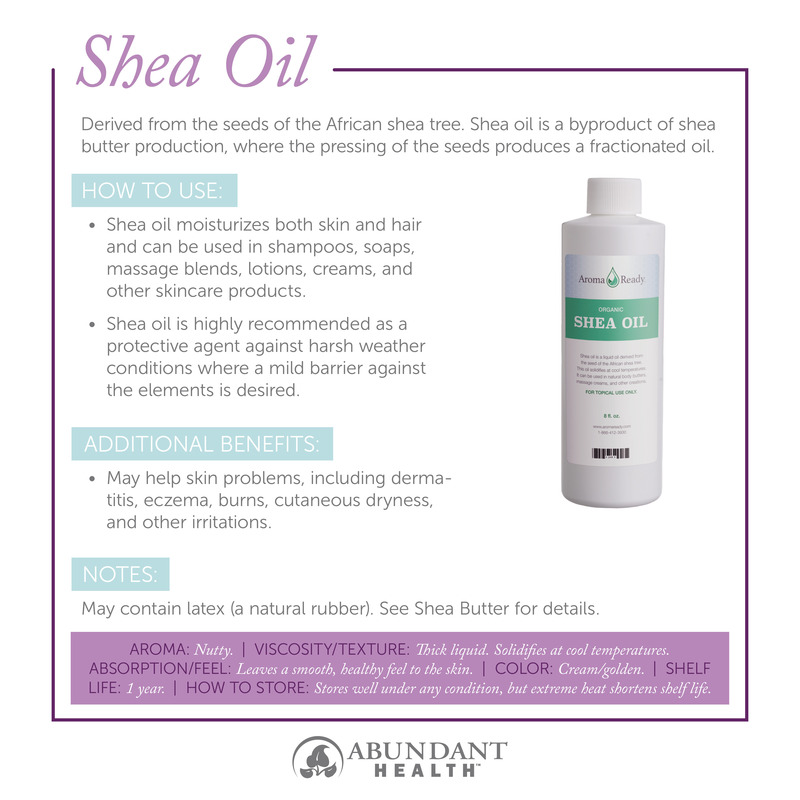 If you have an allergy or sensitivity to latex, avoid shea butter (and shea oil), or perform a skin patch test prior to use. Latex (a natural rubber) is a natural constituent of shea butter. Even if you don’t have a known allergy, it is always a good idea to do a skin patch test on a covered area of your body before using the oil elsewhere. 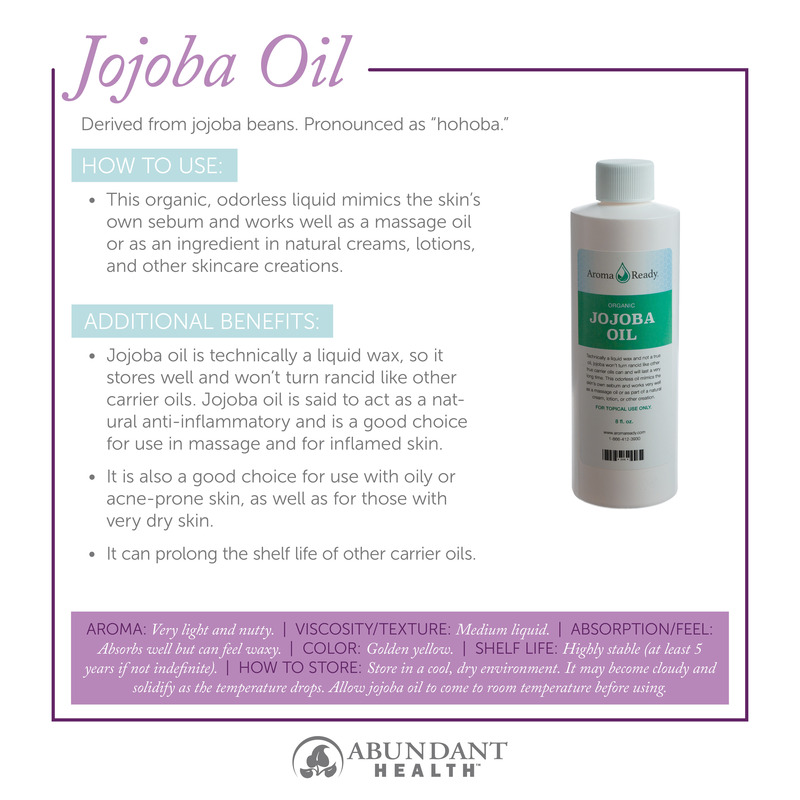 What carrier oils does Abundant Health offer?